QUIET BEAUTIFUL VIEW, NEAR THE CITY. Possibility of going into town. Terrace with barbecue, garden furniture. Kitchen with hob, washing machine, dishwasher, microwave, fridge freezer. The pool is shared with the owners from time to time. . 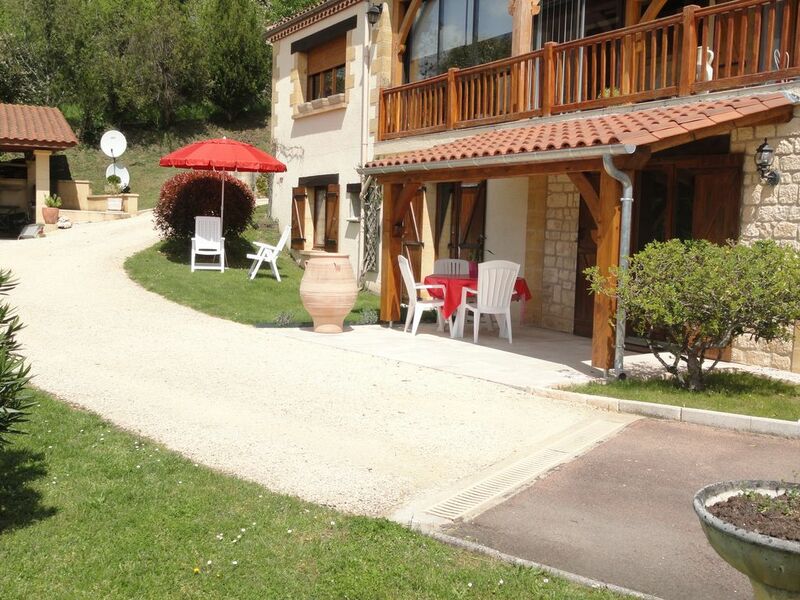 Apartment ground floor, 500m from the town center, with stunning views of Sarlat. .
At the heart of the black Perigord, 30 minutes from Lascaux, 15 minutes from Eyzies. Secure swimming pool 5x10 M, facing south, with 'pool house'. Sac, ensuring a peaceful, quiet.